The U. S. Air Force, built the Green River Launch Complex, just outside of Green River, Utah, 1964. It was an annex of the U.S. Army’s White Sands Missile Range. From 1964 to 1973 the U. S. Air Force launched 141 Athena Missiles from the Green River launching area, near the Crystal Geyser as part of research to improve nuclear missiles. The site has since been decommissioned. Pershing and Athena rockets were fired from here to White Sands, NM, some 400 miles away. In 2011, Colorado River & Trail Expeditions (“Crate”) will be celebrating its 40th year in business. Dave and Vicki Mackay founded the company in 1971, because they loved being on the river and wanted to make it their life’s work. It was their intention then, as now, to outfit rafting trips of exceptional quality for folks who longed to escape from the hubbub of everyday living. With the support of smart, fun, and experienced guides, Crate has enabled thousands of people from all the world to travel down the Green and Colorado Rivers through Utah’s magnificent canyon country. 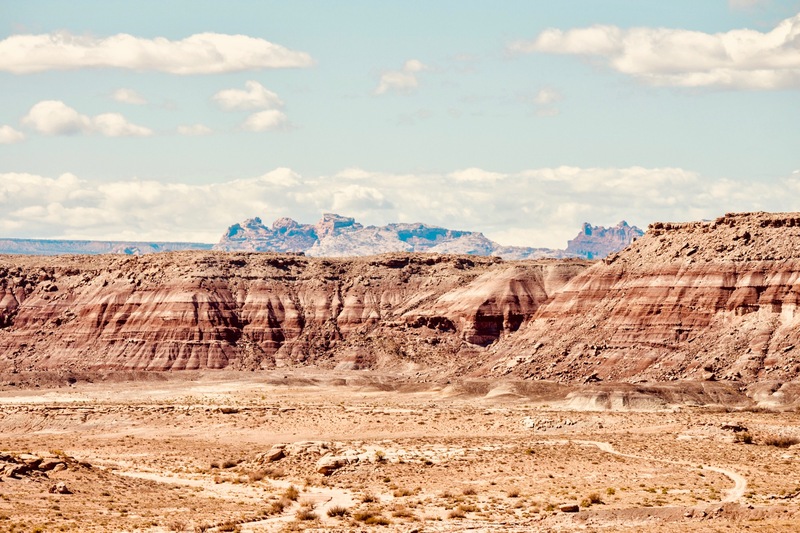 The San Rafael Swell is Utah’s fastest growing tourist destination. Most of this huge area is open to the public and adventures are left only to the visitor’s imagination. The Swell is 2,000 square miles of public land, known for its scenic sandstone formations, deep canyons, desert streams, and expansive panoramas. The Swell is a massive maze of winding canyons, broken fins and buttes in the heart of Utah. A citizen of Green River was given this newspaper clipping from a family member from a Philadelphia newspaper. Ripley’s Believe It Or Not was able to be contacted and they found that it was published on December 30, 1990. The caption reads, â€œIn Green River, Utah, there is a 25-ft-long wooden building shaped like a watermelon that is center point to the annual Watermelon Day festival. Twelve miles north of Interstate 70, a developed BLM campground at Swasey boat ramp includes vault restrooms, trash disposal and fire rings. The white sand beach spans a long bend in the river and is shaded by cottonwood trees. Shallow water gives children plenty of opportunity to frolic in the river, and bighorn sheep frequent the water’s edge. Rapids upstream from the campground provide a kayaking playground. Designated as recreational access with no permits or fees for camping or boating, Swasey’s Beach provides barrier-free access for those with disabilities. 2012 has been cancelled due to water levels being too low. Look for us next year! The Friendship Cruise begins on Memorial Day Weekend from the Green River to Moab, UT. See firsthand the river country of southeastern Utah as Major John Wesley Powell did over 100 years ago! The 2012 Friendship Cruise promises to be an exciting holiday weekend for its participants. Rest under a canopy of cottonwood trees or accept the challenge of a nine-hole golf course on the banks of the Green River. Annual events include the 184-mile Friendship Cruise and Melon Days. The park is also a popular starting point for boaters adventuring through Labyrinth and Stillwater canyons. There is information about Labyrinth Canyon that you should know if you’re planning a float trip; you will also need the Labyrinth Canyon Non-commercial River Trip Permit. Green River State Park golf course is a golf oasis on the banks of the Green River, with the Book Cliffs towering in the distance. The elevated tees and greens add character to a leisurely round of golf. The course offers fairways lined with mature cottonwood trees and water hazards from the meandering Green River. Surrounded by natural wonder, this nine-hole classic was designed to challenge the experienced player, but remain playable to newer golfers.